Hypersensitivity to foreign substances, which are normally harmless, is called as allergies. However, this hypersensitivity may lead to violent reactions in the human body. In simple words, allergy means elimination of unsuitable substances by the body system. 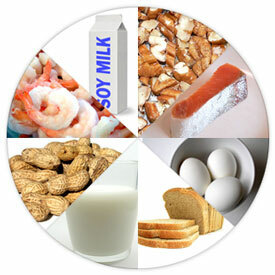 Symptoms of food allergy can appear within few minutes to couple of hours after consumption of the allergen. Most frequently encountered symptoms (all of these don�t necessarily develop) include skin rash or hives, vomiting, diarrhea, stomach cramps, itching or tingling around the mouth, swelling of the face, tongue and lips, wheezing, coughing, dizziness, swelling of vocal cords and throat and breathlessness or loss of consciousness. While some people suffer mild effects, some others may face serious consequences, and may need immediate attention and help from doctors. While almost any food can be allergic; few common foods are usually responsible for almost 90 percent of food-related allergies. Patterns of common allergens differ across regions and cultures, and may increase with higher consumption. According to a study published in the Journal of the Indian Medical Association, peanuts are the most common food allergen in India, followed by, chocolate (cocoa), fish, coconut and cashews. Dals, soya, dairy products, wheat, lemon, chicken, meat and eggs are other allergens that are common in India. A tiny amount of the allergen, for instance used as garnishing, is often enough to cause allergy attack. In many cases, even cross contamination from residue left behind on plates or vessels can trigger a serious attack. Peanuts (groundnuts): Baked products including cakes and biscuits, chocolates, ice-creams, snacks including farsan, marzipan, nougat, and foods containing peanut butter. Reused oil in which food with peanuts has been cooked can cause a reaction. Refined peanut oil is usually safe, but cold-pressed or extruded oil should be avoided. Chocolate: Foods containing cocoa chocolates, cakes, biscuits, ice creams or milkshakes. Fish: Packaged sauces containing fish products apart from fish dishes. Shellfish: Packaged foods containing shellfish apart from dishes containing shellfish. Coconut: Raw coconut, cooked foods with coconut such as curries and chutneys, cakes, biscuits, farsan and deserts including sweetmeats. Tree nuts: Cakes biscuits, chocolates, foods garnished with nuts, farsan, fudges, chikkis and marzipan. Dals: Cooked dals as also snacks and sweetmeats made using besan or chickpea flour. Soya: Soya bean in any form including soya milk, tofu or soya flour. Foods containing minor amounts of soya protein, such as soya oil or soya lecithin, are usually safe. Milk: Milk in any form including butter, ghee, cheese and curd in cooked preparations, baked products, ice cream, sweetmeats, chocolates, etc. Wheat: Wheat flour, semolina, daliya (broken wheat), wheat bran or wheat starch in breads, rotis, chapattis, packaged baked products, cereals, pasta and some noodles. Eggs: Any part of egg, including egg white, egg yolk or egg powder used in cooking, cakes and other baked items, creamed foods, mayonnaise, marshmallows and ice creams. Avoid consumption of the allergen in any form by carefully reading labels on packaged foods. While eating out, make sure your food does contain an allergen. 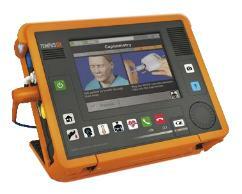 Explain that you are allergic, and stress the importance of avoiding cross contamination. In case of accidental consumption, learn to recognize the symptoms of allergy and rush to an emergency center immediately.